Dynamic and responsive site design ensures your site looks the way you want it to no matter what device a visitor is using to view your site. Establishing your businesses brand and messaging as well as communicating that through traditional marketing as well as social media channels is critical. Understanding where your business is at today and where you would like to be in 3 to 5 years helps us to define an effective digital strategy to get you there. Building an effective website today involves understanding your customers, building an strong brand and successfully messaging your products and services in a way that customers can relate to. Give us a call and find out what we can do for you. "Danielle is amazing to work with. 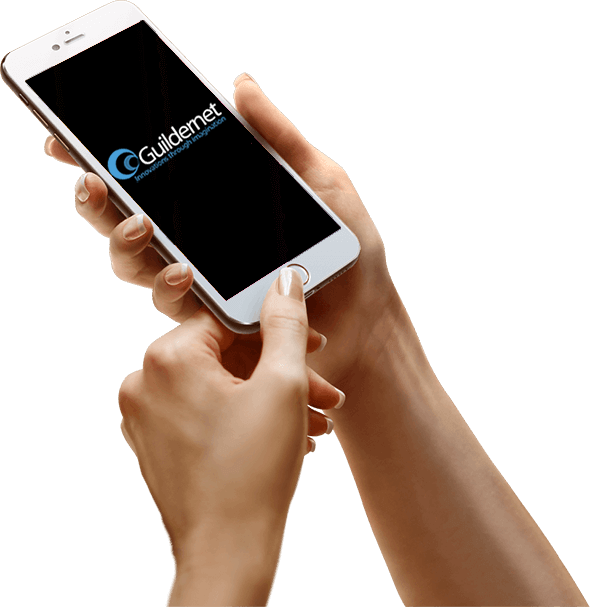 We partnered with Guildernet 10 years ago and it has been a real pleasure working with you." It is always a pleasure to work with the Guildernet team. Thank you for all your support over the years. Proudly helping local businesses for over 20 years with a full suite of services. Let us take care of the technical, marketing & strategic initiatives while you focus on what your truely passionate about. Running your business. In the early 1990's businesses could stand up a simple web site and then lay claim to having an Internet presence. Today, consumers are more technically adapt and expect to be able to interact with you through your web site. Building & Defining your Brand. Who are you? Who are your potential customers / clients? What needs / products that your customers / clients need are you looking to provide? What differentiates you from your competition? There are several channels we can use to promote your business. Traditional ones such as mailers, flyers and print media as well as digital mediums such as social media, email marketing etc. Today your web site needs to not only look, but function correctly across a broad stream of devices. In addition it also needs to interact with your visitors and fulfill their needs whether they are looking up information or ordering a product. Our UI/UX designers will ensure that your new site meets all these needs.